If you expect plenty of great productivity tools and other excellent features for your emails, these 5 best email providers definitely have something that you will like. Gmail is the most used email service with around 1 billion users all over the world. Contrary with its very simple interface, this email service has plenty of useful features. The free account comes with 15 GB of storage and with an extra fee, it is possible to get unlimited storage. Gmail’s security really lives up to Google’s reputation. It has the one of the best anti-spam and phishing protection and also provide two-step authentication feature for extra security. It supports POP, IMAP and it also comes with reliable mobile application that can handle external email providers. As a part of Microsoft, you can take advantage of various Microsoft programs from Word to Skype if you are using outlook. It provides excellent security measures for your emails. It requires two-step verification to access your email so that it will be harder for hackers to make a mess with your account. One of its best features it Quick View. This function allows you to see all messages that are categorized into a same category with just one simple click. Furthermore, it is also possible to fully recover emails that you accidentally delete. Yahoo Mail is a great free email service provider with excellent reputation. If you want large mail storage without having to spend a single penny, Yahoo is the best choice because it gives 1 TB of free storage right after you register. It also allows you to link external email providers to Yahoo account. As a result, you can manage all your emails only from one platform. It keeps your account free from spam thanks to the auto deletion feature. All messages in trash folder will be automatically deleted after 90 days. Many people loves mail.com because it has more than 200 domains that you can choose from. Instead of the usual gmail.com or yahoo.com, you can choose a more personal domain. You are also allowed to create 10 aliases from your email address and all messages directed to your aliases will arrive in your main email’s inbox. You also can attach up to 50 MB of file in each email, and this number is bigger compared to other email services. In addition, you also can enjoy 2 GB of storage as well as calendar and reminder tool. 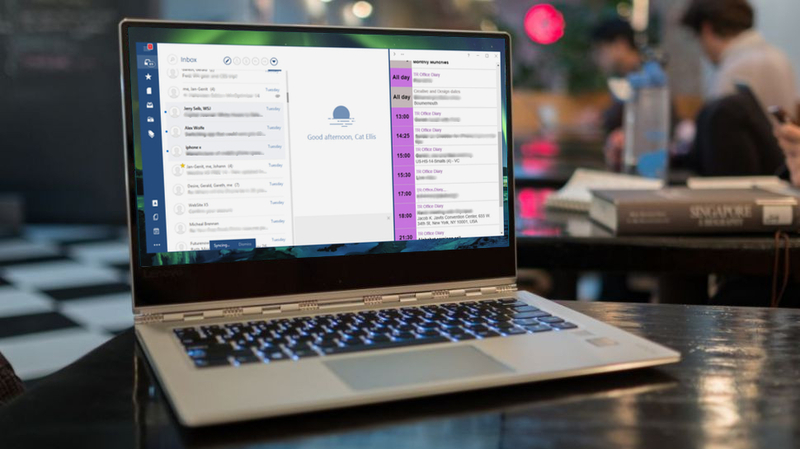 If you don’t want too many bells and whistles and simply want reliable basic features, FastMail can be a great option. Just like its name, it comes with fast mobile application to access your emails on the go. in addition, you also can take advantage of its productivity tools like contacts, events and calendar. With $9 per month, you can upgrade to the premium plan. You will have access to the premium features of the mobile apps as well as a whooping 100 GB of storage per user. The premium plan also doesn’t display any ads and you also will get your own domain.